Yesterday was Shannie’s IEP. Mark went as we had some concerns and I knew he would make the case in a non-emotional, calm, cool and collected way. He is just so much better at getting the same result with less emotion involved in the process then I am. I’m always so grateful to have a partner in these situations. Shannie is in a classroom geared for kids who are classified as medically fragile. She definitely qualifies, but only in the technical sense as far as I’m concerned. She hasn’t been in the hospital for illness, always pneumonia, in over 10 years. All other times were scheduled orthopedic surgeries. Compared to many kids in this classification she’s on the milder end – no trach or ventilator – for which we are super grateful for sure. Our main concern was that Shannie be treated as a student at school, not a patient, and sometimes it seemed as if that line was blurring. Often her notebook came home with oxygen stats or temperatures on days when she was not the least bit sick. In fact she’s maybe missed 3 days of school this year due to illness, general illness, not life-threatening illness. I tend to prepare myself for a possible fight in these situations, but more often than not, when we lay out the issues and clarify our expectations all is well. In this case, Mark shared with her staff the anxiety Shannie feels surrounding medical situations and whether her anxiety was playing in to what they perceived as illness at school. Everyone seemed surprised that she responded with anxiety – to the point that versed, an anti-anxiety med which also produces amnesia, – is given to her as soon as she enters the hospital for the injections she receives four times a year under anesthesia. She has been known to raise her temp. several degrees when she is anxious. This is why I was so concerned that the hyper-vigilance over her medical issues be dialed back. She has enough real issues that have to be dealt with, let’s not pay attention to anything that’s not a real issue. Shannie often freaks out people who are not familiar with her frequent coughing, rattling in her upper chest and occasional gagging. We, who are familiar with her, know for Shannie, this is normal. It is always upper, as in back of her throat, respiratory stuff. It is very rarely actually in her lungs. Her “normal” takes some getting used to and absolutely requires some relaxation on the part of her caregivers. You can not get worked up over every funny sounding breathe or muscle cramp/jerk, seizure etc. or you’ll make yourself sick with worry. Yesterday was a great example of the purpose of an IEP, in my opinion. It helps clear the air and get everyone on the same page. Ultimately, with Shannon, we are the ones who will pay the price long term for whatever decisions are made regarding her health. 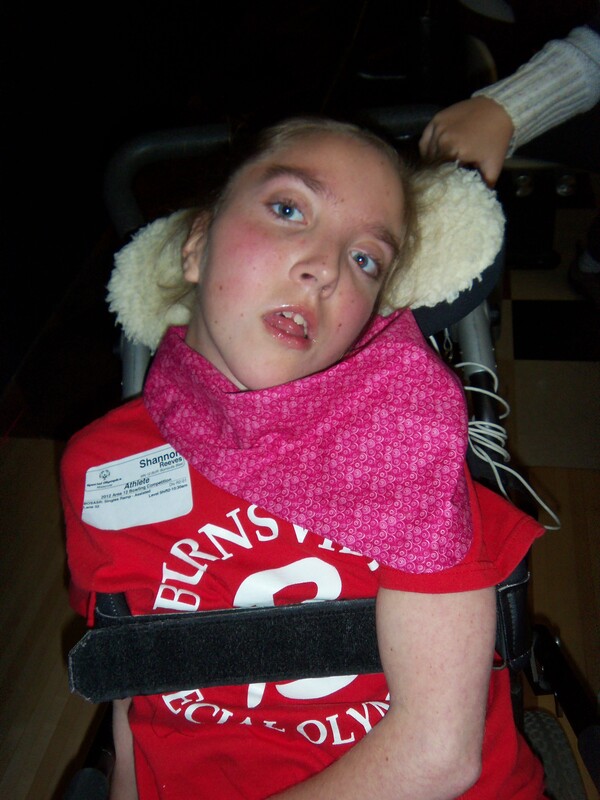 Our goal has always been for her to be comfortable and experience as much in the school setting as possible. When she is a student first and a student with some medical issues second that goal is a lot more likely to be achieved. I'm the mom to 11 children. I like to write about parenting and grandparenting kids/adults. I am an adopter primarily of those with disabilities. Our daughter Shannon died April of 2015. Life is never quite the same. I have learned so much from my kids about unconditional love. Because of my amazing kids I have learned about mental illness, racism, Down Syndrome, divorce, autism, ADHD, cerebral palsy and medical fragility. I've been married to an incredibly patient man for over 40 years. We are unapologetically steadfast in embracing our kids and their diversity - every bit of it.